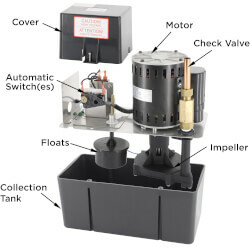 Condensate pumps remove water (condensate) that is created when an air conditioning system cools warm, moisture-rich air. 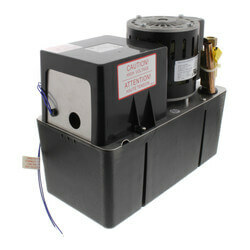 The process begins when warm, damp air is cooled by a cooling coil in an air conditioner. 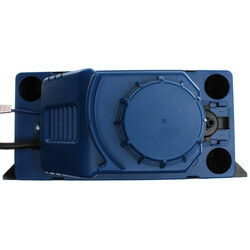 As the air is cooled, moisture is removed from the cooler air and condenses on the surface of the cooling coil. 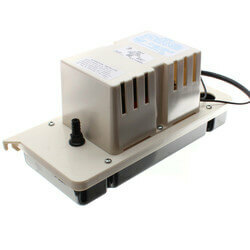 This moisture, or condensate, is then collected by a water reservoir in the condensate pump. 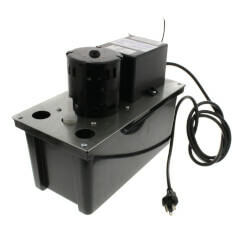 As the water level inside the condensate pump reservoir rises, a float switch within the reservoir is lifted by the rising water. 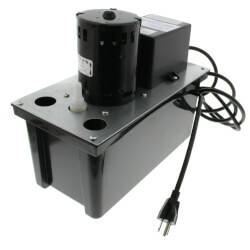 When the water level reaches a predetermined height, the float switch triggers the pump motor to turn on. 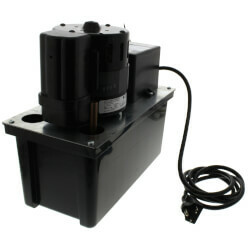 An impeller then pumps the water out of the reservoir and into a drainage pipe or tube. 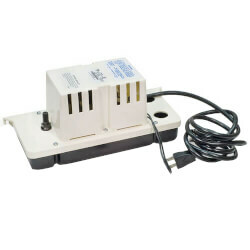 After the pump empties the water, the float goes down and signals the pump to turn off. 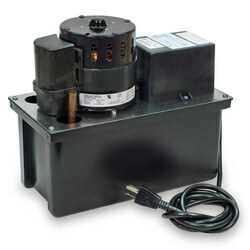 Some pump models come equipped with a safety switch. 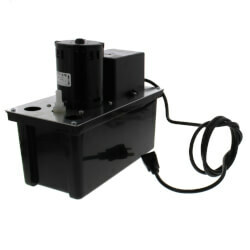 This switch will shut down the entire system if the pump fails to turn on when needed and there is risk of tank overflow. 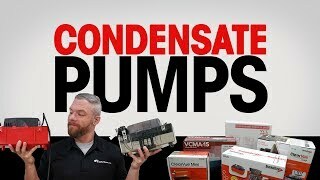 Some pumps, such as Little Giant VCL pumps, are also rated for high-efficiency gas furnace applications that produce an acidic condensate. 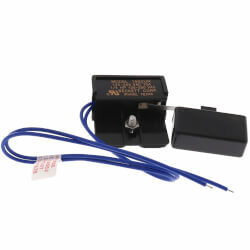 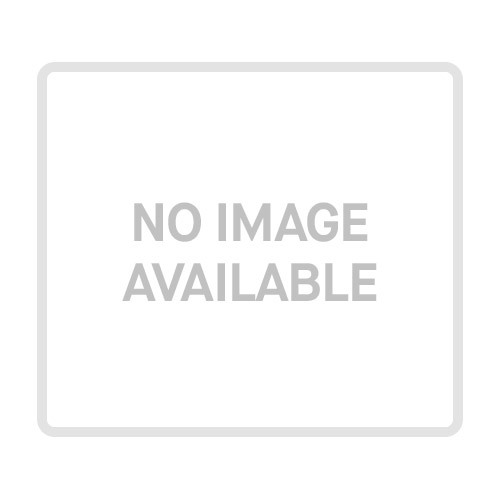 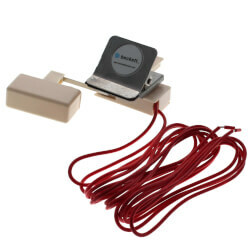 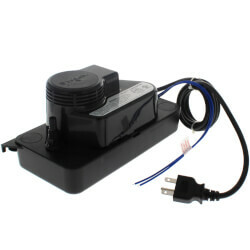 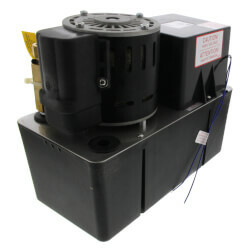 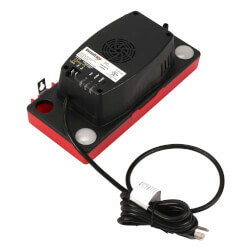 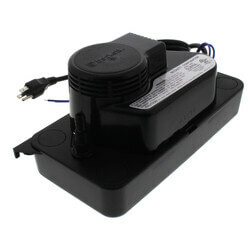 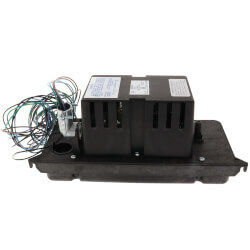 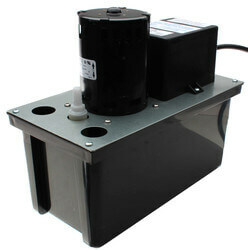 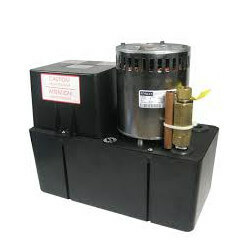 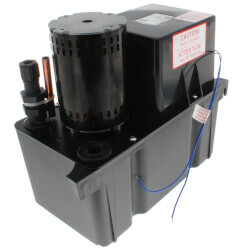 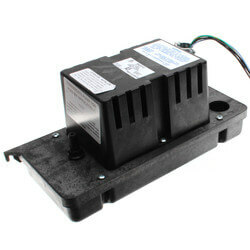 We offer a wide variety of condensate pump models. 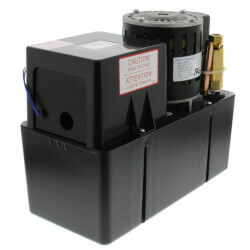 These models include Large Reservoir Condensate Removal Pumps, Medium Reservoir Condensate Removal Pumps, and Low Profile Condensate Removal Pumps for limited space applications. 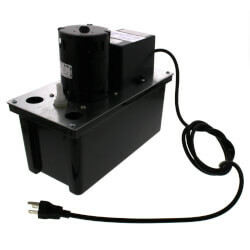 We also carry NXTGen Condensate Removal Pumps which feature a patent-pending cooling design to increase pump life, oil resistant tank and check valve, and a slimmer size for tight spaces. 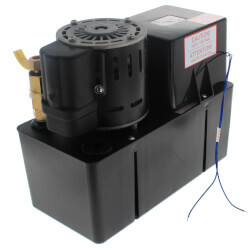 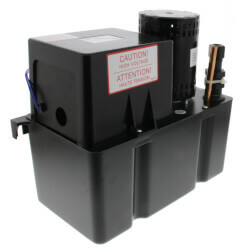 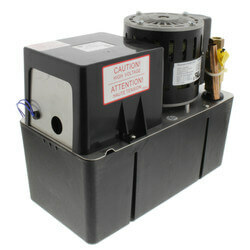 Other pump types include Little Giant's EC Series of condensate pumps designed for mini-split/ductless systems, Little Giant's shallow pan ABS Condensate Pumps designed for in-pan placement, and Bell & Gossett's LS Condensate Removal Pump which uses permanent magnet, ECM (electronically commutated motor) technology to remove condensate fluid that cannot be removed by gravity.